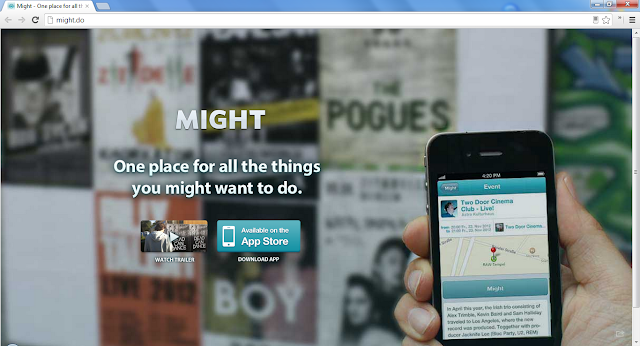 Might is an iPhone application where people can discover and save all the things that they might want to do. It knows what you might want to do because it knows who your friends are. Might also connects to all your social networks and learns more about your interests. You keep on using your social networks and Might keeps on learning more about the things you might want to do in real life. Might is your personal almanac. One place for all the things you might want to do. Follow them on Twitter and Facebook.